Our cottage is a fanastic base for families, couples and friends to explore the Brecon Beacons National Park. We have taken great care to furnish the property beautifully so that your stay is really enjoyable and comfortable. There are two bedrooms sleeping 4/5 -one double and one twin.The twin room is large and has an additional sofa bed for extra guests. All beds have quality mattresses and bedding so you can get the best sleep after a day's walking or exploring. The kitchen is well equipped, so if cooking is your thing, you will have everything you need like decent pans, sharp knives and kitchen scales. There are maps, guidebooks and a backpack that you use. There are even survival bags - always worth carrying with you if you are heading to the hills, especially if it is cold or with children in tow! The cottage has wifi, TV, DVD player and bluetooth speaker. For a fun night in there's monopoly, chess, jenga, snakes and ladders, perudo and more. 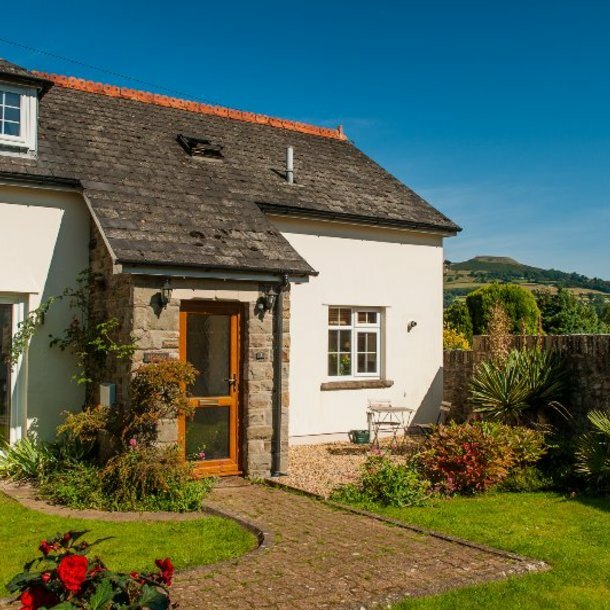 There are lots of walks that you can start from the door of the cottage including Table Mountain, Glanusk Estate, Monmouth and Brecon Canal, River Usk and Llangattock Escarpment. Why take the car when you don't need to? You can end your walk at one of the lovely pubs in Crickhowell for a well deserved drink! As owners, we visit Little Shoe Cottage regularly to enjoy a break and make sure everything is up to scratch. Our fantastic housekeeper, Sue, keeps everything immaculate and is just a phone call away if you need anything during your stay. We find that many of our guests are returning time and time again. I hope you will find all the information you need on this site but if you have any questions about booking Little Shoe Cottage, or the visiting the Brecon Beacons please do get in touch.